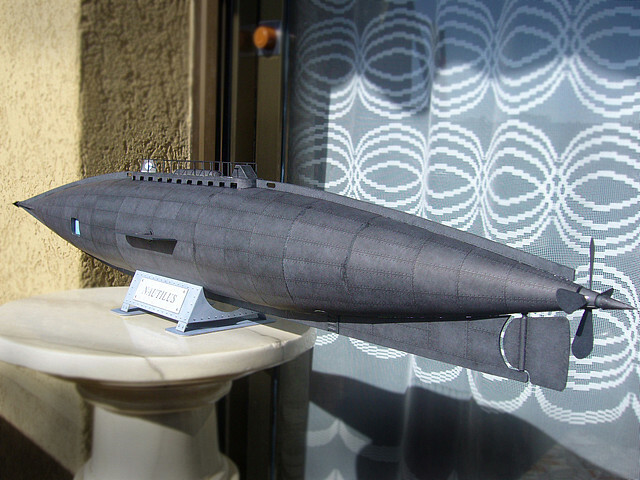 Paper Model Details: 160 parts on 13 pages, with display stand, nine construction diagrams, and optional clear portholes (template provided). Bulkhead-and-joiner-strip construction. PDF file features introductory note by artist Ron Miller and a short biography. Built-model photos included for reference. Degree of Difficulty: 4/5.